Gwen Stefani is giving a whole new meaning to the word cool. 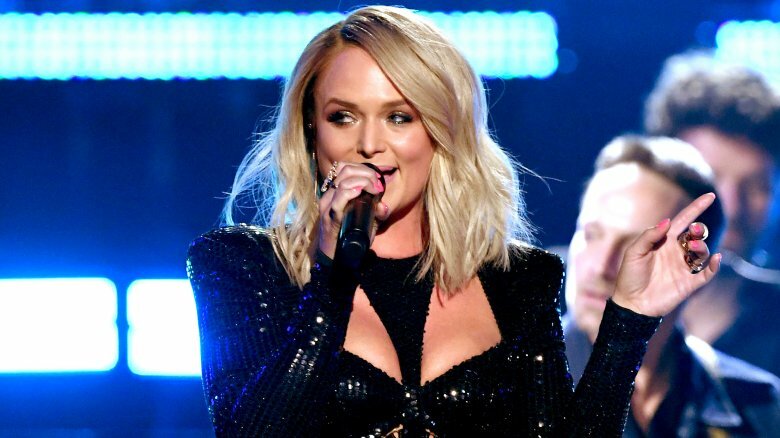 Hollywood Life reports that the No Doubt singer wasn't too bothered when Miranda Lambert appeared to slam her ex-husband — and Stefani's current beau — Blake Shelton with a headline-making lyric change at the 2019 ACMs. According to a source cited by the gossip rag on Monday, April 8, 2019, "She was shocked by Miranda's public diss of Blake. Gwen was embarrassed for Miranda because it seems obvious to her that Miranda is still thinking about Blake even though she is married and appears to have moved on, she clearly hasn't." 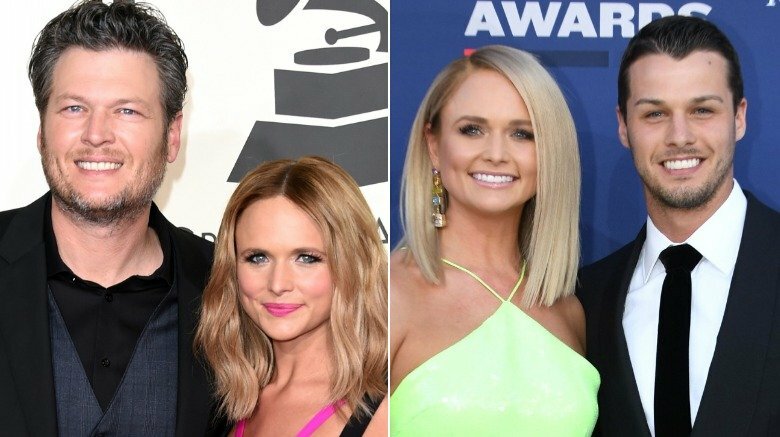 Meanwhile, a second insider claimed in part, "Blake and Gwen think Miranda is being a little petty with the whole situation … [They] are saying to themselves, 'Get over it already!'" Ouch. However, it doesn't seem like the supposed dig will be spiraling into an all-out feud any time soon, at least in Stefani's view. Noting that the happy couple reportedly "laughed off Miranda's lyric change," the media outlet's first source alleged, "Gwen loves Oklahoma so much, she thought the whole thing was kind of funny." On Sunday night, April 7, 2019, Lambert brought down the house — and apparently kicked up the drama — while performing "Little Red Wagon" during a medley of her biggest breakup hits at Las Vegas' MGM Grand Garden Arena, AOL reports. The singer-songwriter, who donned a black leather jumpsuit during the performance, switched up one of the song's original lines, "I live in Oklahoma," with, "I got the hell out of Oklahoma." Yikes! Following what appeared to have been a major dig toward Shelton, a number of social media users quickly chimed in on the matter. "When @mirandalambert said 'I got the hell out of Oklahoma' with Blake in the room. I felt that. I may have screamed a little," one fan tweeted, while another wrote in part, "OMG her ex is in the crowd and she just shaded him by talking about getting out of Oklahoma." While a Twitter user called Lambert's lyric change "a mood," another fan shared, "I have so much respect." During an interview on the Today show in December 2018, Stefani revealed that while she hopes she and Shelton are together forever, they're not in any rush to get married. "[You] get to a place where you find somebody that's like your best friend, that you know you can depend on and trust and go through life," she explained. "We're just trying to be in the moment as much as we can." Meanwhile, Shelton isn't the only one to have moved on. For her part, Lambert was previously romantically linked with the likes of musician Anderson East and Evan Felker of The Turnpike Troubadours (via E! News). 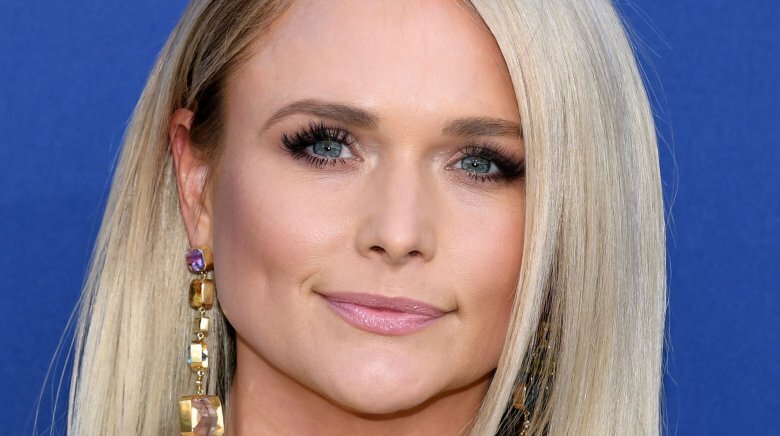 Shortly after the latter couple split in August 2018, she told the Tennessean that she was "happily single." Lambert went on to say, "Love is a hard road sometimes and it's been a roller-coaster ride for me, but I'm definitely thankful for all the ups and downs because I've had some really good songs come out of it." "In honor of Valentine's Day I wanted to share some news. I met the love of my life. And we got hitched!" Lambert wrote to her 3.5 million Instagram followers in mid-February, captioning a series of snapshots from the newlyweds' big day. "My heart is full. Thank you Brendan McLoughlin for loving me for…. me." Alongside a red heart emoji, she completed her caption with the sweet hashtag, "#theone." According to a source cited by Entertainment Tonight at the time, "We've never, ever seen her so happy and think she's finally found her one and only. Miranda and Brendan both want kids. [She] never felt ready to have children until she met Brendan and now she's excited to be a stepmom. She even says it's great practice for when she has a baby." The insider added, "Brendan makes Miranda feel grounded, centered and very safe. Everyone has been loving that she fell for a man in uniform. Miranda is relieved to have found someone who isn't in the music industry. Brendan is perfect for her." After first meeting last November, Lambert and McLoughlin, 27, made their red carpet debut as a couple at the 2019 ACMs. Adding to the country megastar's heightened press following the event, the Taste of Country noted that she's officially the "most-awarded artist in ACM history" … no big deal.